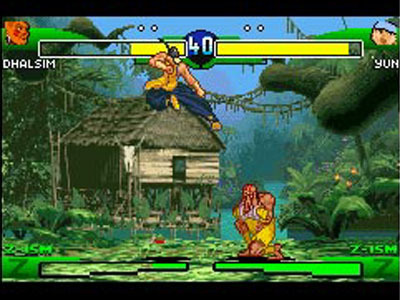 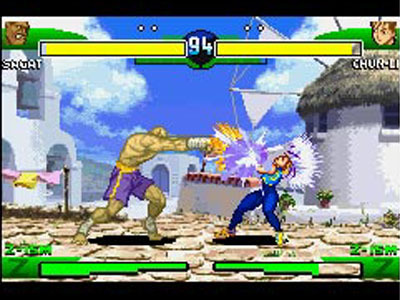 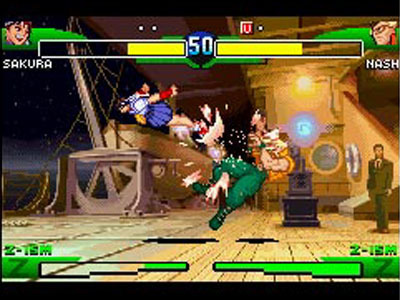 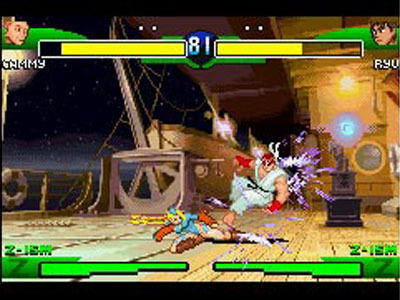 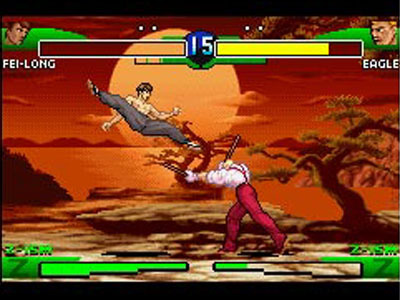 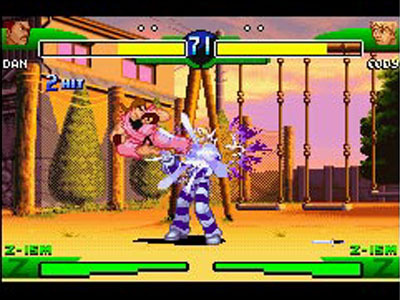 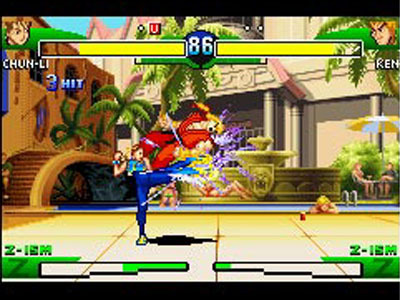 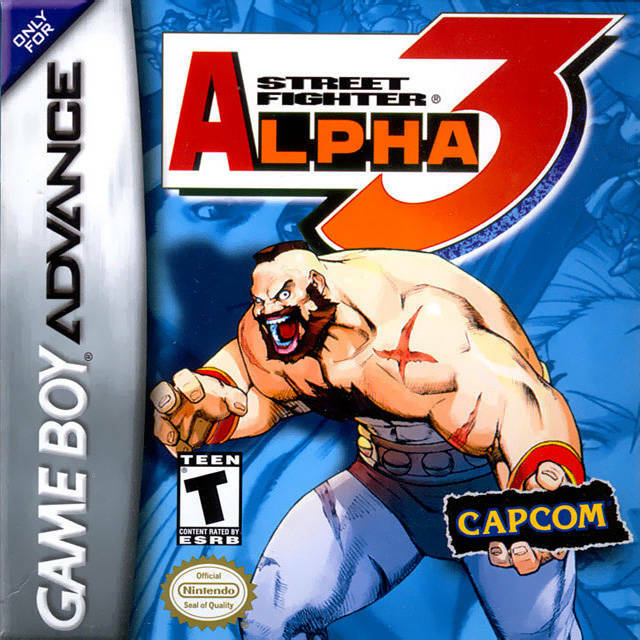 REVIEW: SFA3: Upper is the Gameboy Advance port of Street Fighter Alpha 3. 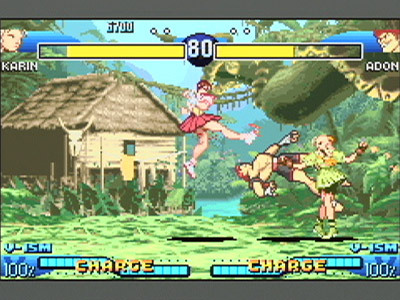 This version includes all the characters from the console versions of SFA3, but also adds 3 more fighters to the roster. 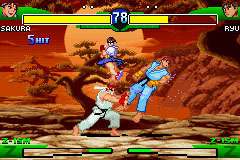 Yun, Maki and Eagle from Capcom VS SNK 2 make the jump to the Alpha series! 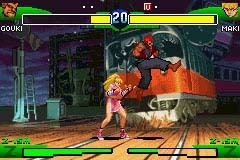 If you squint, you'll notice a lot of characters! 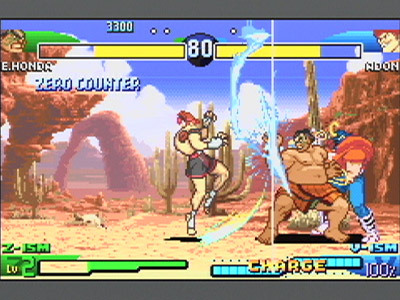 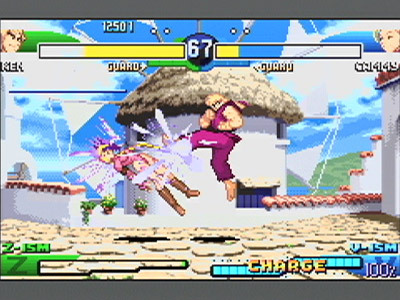 The first handheld version of Street Fighter Alpha 3 looks pretty good on the GBA, but the sprites definitely aren't arcade perfect. 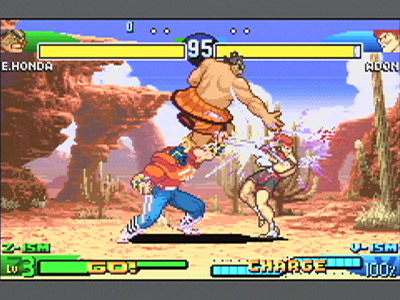 If you're well-acquainted with the visuals on the arcade or previous console versions, you'll immediately notice a few "cut corners" here and there. 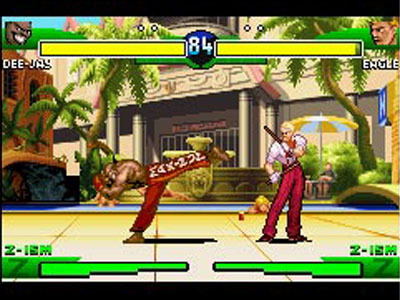 Character sprites have drastically been shrunk down in size, offering less pixels and less detail, but at least they still "look the part" and resemble the originals fairly well. 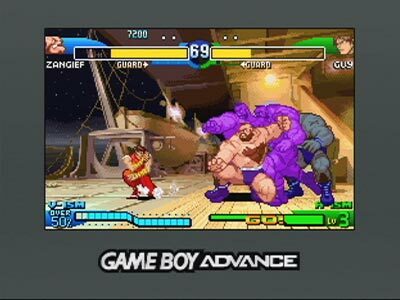 The graphics might be slightly disappointing to those who are quite familiar with SFA's vibrant animated sprites, but a 9 year old kid who never played Street Fighter in his life wouldn't know the difference. 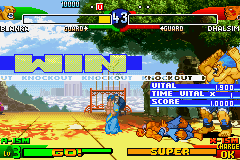 I will say that the stages translated rather nicely though. 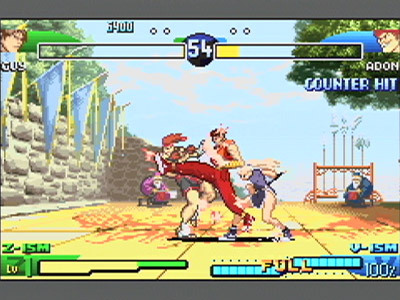 The stage BGMs now have a "midi" sound to them, and are a bit too tinny and over-synthesized for my tastes. 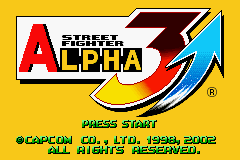 Even so, the "new versions" are kinda cool to listen to if you're a fan of the SFA3 soundtrack, even though they're quite downgraded from the originals. 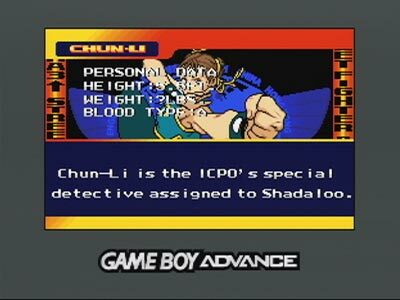 A pretty good visual translation overall. 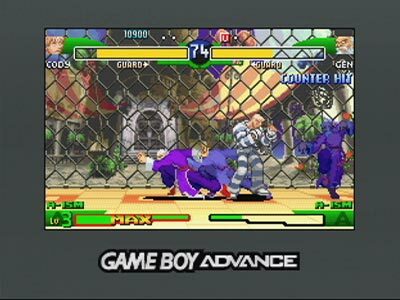 The main flaw of SFA: Upper is expectedly, the controls. 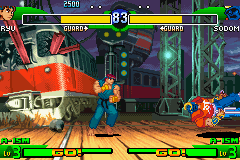 Depending on the character you choose, the controls will feel either subpar or just plain bad. 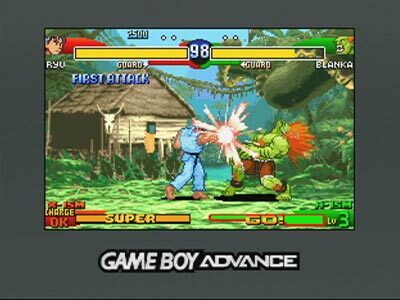 The GBA directional pad can pull of hadokens and shoryukens okay, but 360s were damn near impossible (at least on the GBA I was using). 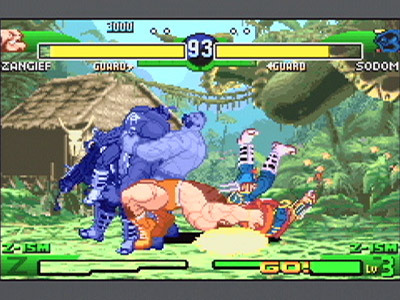 This flaw renders characters like Zangief and R. Mika pretty useless, and that's a major flaw if you like using grapplers like I do. 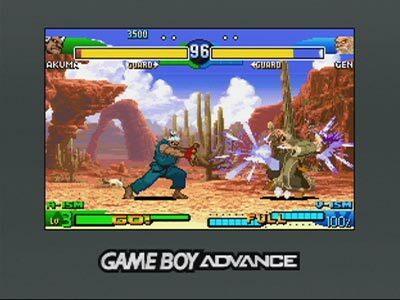 I haven't tried playing this game on a Nintendo DS, so I'm not sure if there would be an improvement with the controls or not. 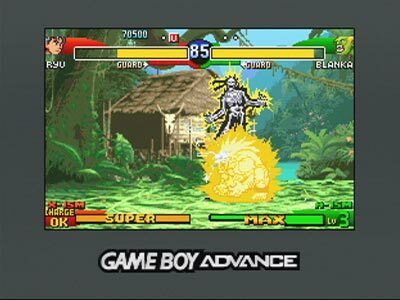 As far as modes go, SFA3: Upper features standard Arcade, VS (requiring 2 GBA systems & 2 games), Survival, and Time Attack. 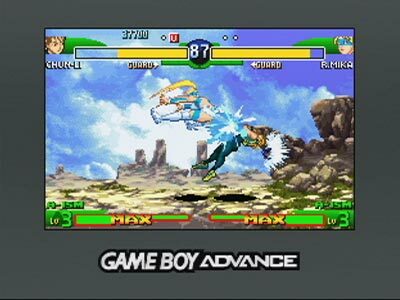 The Dramatic Battle mode also makes the jump from the Dreamcast version to the GBA version... and is arguably the most enjoyable aspect of the game. 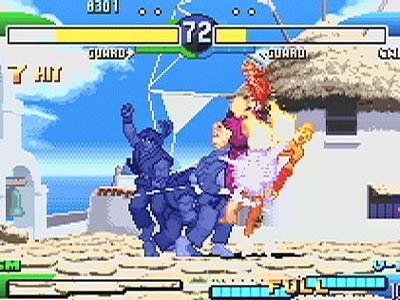 Three-man free for all battles are still pretty fun, even with non-perfect controls. 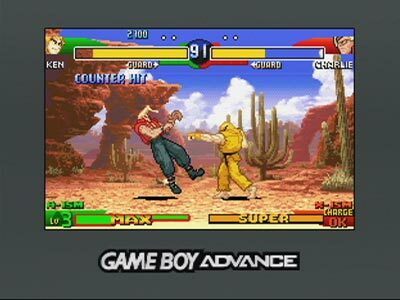 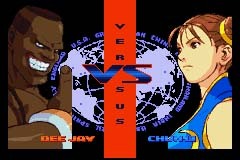 Upper was a decent attempt at handheld version of Street Fighter Alpha 3. 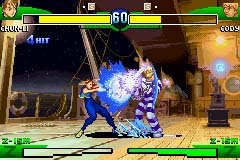 The downgraded graphics and iffy controls made me a bit sad though. 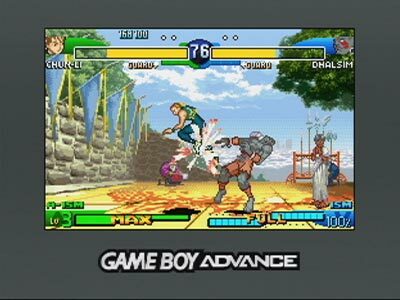 I personally didn't find a reason to play this version very much, since all the game did was make me want to play the Arcade or Dreamcast version.